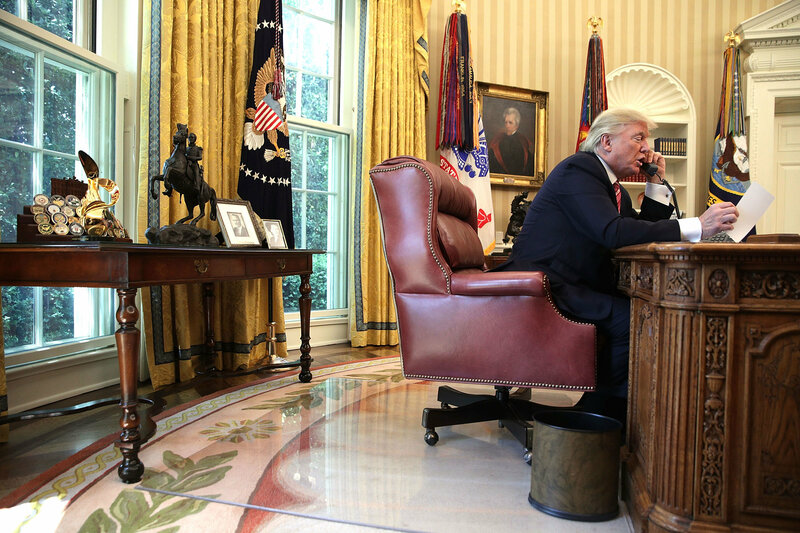 President Donald Trump is poised to address the nation on Tuesday night — on prime-time networks, and directly from the Oval Office. Trump made the announcement Monday via Twitter. On the 17th day of the partial government shutdown, Trump wrote, "I am pleased to inform you that I will Address the Nation on the Humanitarian and National Security crisis on our Southern Border. Tuesday night at 9:00 P.M. Eastern." This particular public address would mark the president's first address from the oval office since taking office. It is unclear which networks will be airing the president's address. The New York Times confirmed that "[t]he four major broadcast networks — ABC, CBS, FOX and NBC" — received the White House's request for the president to speak during the aforementioned slot. "[P]roducers had not decided whether to grant him the time," the Times added. The president has vowed that he will not end the partial government shutdown until Democrats promise to fund a border wall at the U.S-Mexico border. House Speaker Nancy Pelosi (D-Calif.) has refused to bend on giving the president any money to fund a border wall. The president's prime-time address comes on the heels of threatening to declare a state of national emergency within the U.S. in order to get the border wall — one of his campaign promises — built. Trump also reportedly plans to visit the U.S.-Mexico border on Thursday to address the crisis there. On Monday, White House press secretary Sarah Huckabee Sanders tweeted, "President @realDonaldTrump will travel to the Southern border on Thursday to meet with those on the frontlines of the national security and humanitarian crisis. More details will be announced soon."